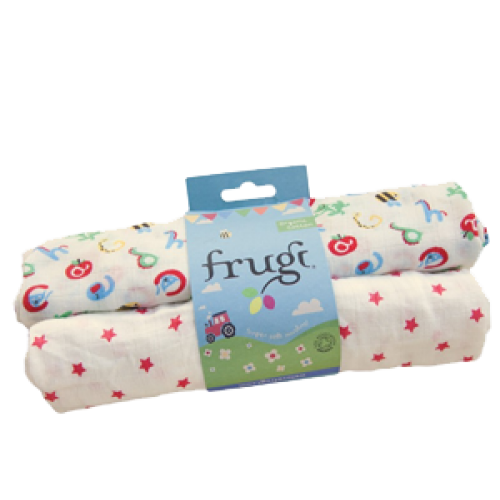 These Lovely 2 Pack of Muslins are made from 100% soft organic cotton muslin making them extra absorbent and gentle on your baby's delicate and sensitive skin. 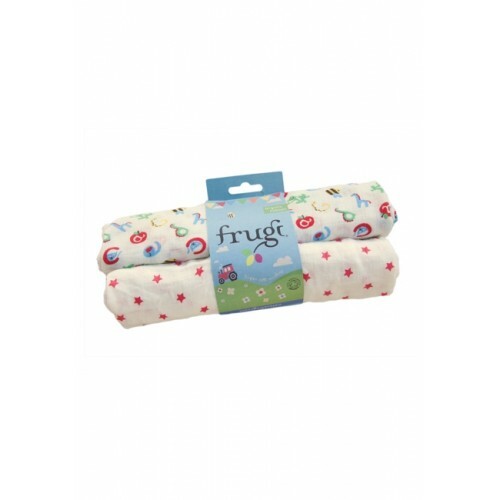 In two fun Frugi all over prints, these muslins are super handy and are great for adding a bit of colour and magic to any changing bag! 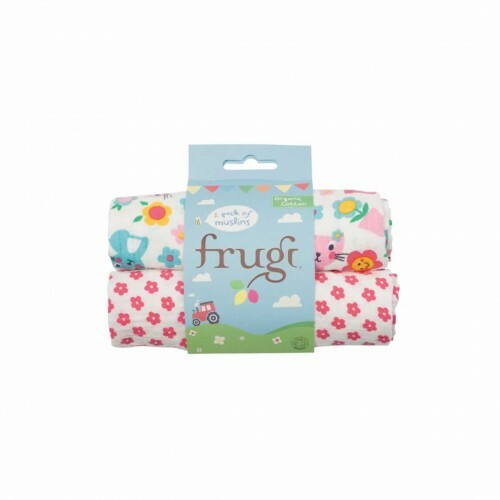 Available in "Farm Friends" or "Cat Friends" design.